1939 2 pcs of response letters Directory state tracks in Prague with railway pmk first dne(!) BOHEMIA-MORAVIA, No. 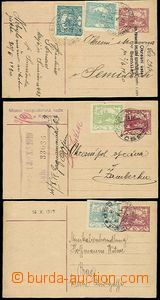 46 PRAGUE - TRUTNOV/ and/ 15.III.39 + No.46 TRUTNOV - PRAGUE/ b/ 15.III.39, superb print, decorative! 1892 uprated by. 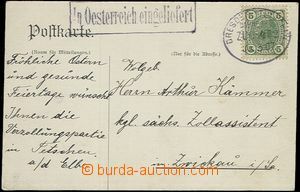 PC Mi.P92 to Sweden, stamp. 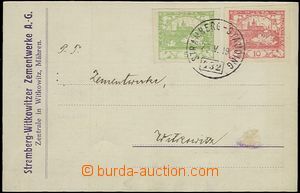 3 Kreuzer also PC with perfin "W&P" Maxa W24, CDS Teplitz Banhof 14.7.92, oval commercial postmark Willner & Pick, arrival postmark. ; good condition, rare perfin, decorative! 1908 PC 5h, Mi.P190 with perfin "S.G." Maxa S29, supplemented with cancel. 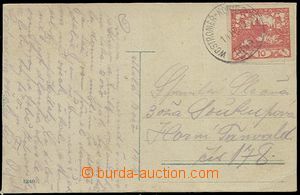 firm Siegmund Guttwillig, CDS Plzeň 23/3 08; good condition, rare perfin!